Location: Located within the churchyard, to the SE of St Hilary parish church. The remains of a medieval churchyard cross comprising four steps of coursed ashlar blocks crowned by an eight sided medieval cross base with broach stops to four corners. 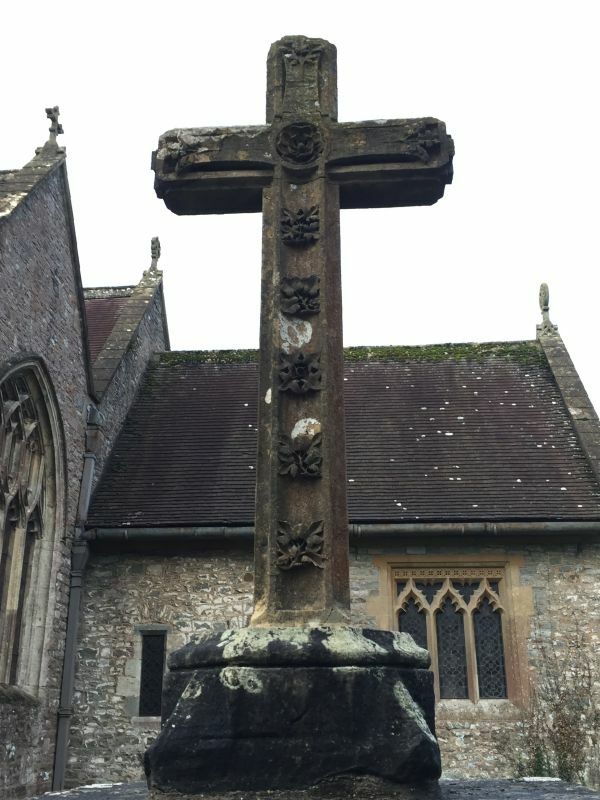 On top of the base a mid C19 limestone cross has been erected with concave moulding to the shaft and cross with fleuron decoration. Listed grade II as a surviving base of a substantial medieval cross, having group value with the adjacent parish church of St Hilary.